Work experience: 7 mo., Corporate sales manager, Integral QSC, Baki. Education: AZTU, Engineer, Baki 2010 - 2017. Work experience: 2 years, Surveyor, MTDS & EDB, Muscat & Lahore. 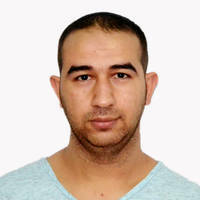 Work experience: 7.5 years, 3D modeller , cnc operator, BgroupMMc, Baku. Education: ХНУГХ им. А.Н. Бекетова, промышленное и гражданское строительство, Харьков 2013 - 2017. Work experience: 1.5 years, Translator (english, russian, azerbaijani), Anker Creative Solutions LLC, Baku. Education: Azerbaijan University of Foreign Languages, Translation faculty (russian-english), Baku 2014 - 2018. Work experience: 2.5 years, Manager, Pdl, Баку. Education: МТИ, туризм менеджмент, Москва 2012 - 2018. Work experience: 3 years, Manager, G Great Trading, Dubai. Education: БГУ, Востоковед, Баку 1982 - 1987. Work experience: 3.5 years, Marketing direktor, Food Holding, Baku. 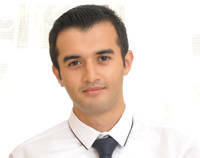 5.5 years, Sales and marketinf manager, Veyseloqlu OOO, Baku. Education: Arxitekturno stroitelni universitet, Texnoloq, Baku 1997 - 2001. Work experience: 1.5 years, Chef accountant, AZTIME, Baku. 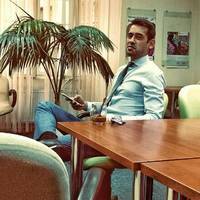 13.5 years, Chef accountant, Suraxani Avtomotoservis, Baku. Education: AZPI, Injener po xoz avtomobilya, Baku 1983 - 1989. 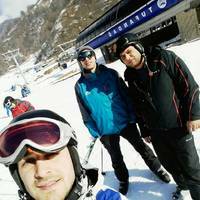 Work experience: 1.5 years, Engineer, SOCAR, Масалли. 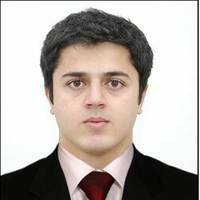 Education: Azerbaijan State Oil and Industry University (ASOIU), Oil and Gas engineer, Baku 2009 - 2013, I am interested in judo,play football,playing table tennis. Work experience: 23.5 years, Elektronshik, Meredian, Baku. Education: Injenerno stroitelniy, Nefte gazo snabjenire, Baku 1995 - 2000. Work experience: 9 years, Brand Manager, Sabah- group, Baku. Education: Гос.Экономический университет , Коммерция и Рекламное дело, Баку 1999 - 2004. Work experience: 14.5 years, SAHA RAISI, CASPIAN LTD, BAKI. Education: injinerno stroitelniy inistutut, promislenno i qrajdanskoqo stroiel, Baku 1971 - 1976. Work experience: 5.5 years, Document Controller/Translator, ProYapi, Agdash. 2.5 years, Document Controller/Translator, Finnroad, Shamakhi. 2 mo., Translator, GlobalCertification, Baku. Education: Khazar University, Translator, Baku 2004 - 2016. 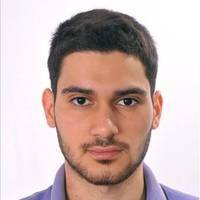 Work experience: 3 years, İSO & HSE Manager and the head specialist in Economical security Department at the company (Qual, Azerinshaat MMC, Baku. Education: Tashkent State University of Economics (TSUE), Ecanomic, Tashkent 1986 - 1991.